Welcome back friends! I love finding beauty in broken or unwanted pieces. It always reminds me how God finds the beauty in all of us, even though we are not perfect in any way, shape, or form, He still wants us! If you ever feel unwanted, unworthy, or shattered inside, always know that God loves you and thinks you are beautiful. He wants to put you on display just like I am going to do with this DIY. Today I am going to be turning an old broken unwanted chair I found for $8 at an antique store into a charming Decor piece for my front porch! Here’s the chair I am working with! I could see the potential in her as soon as I laid eyes on her. I love going to the local antique mall or scrolling my Facebook market place to find pieces to make my house feel like home! The good thing about antiques is that they are usually one of a kind, which helps your space to feel personal and unique! Maybe I’m getting ahead of myself and catching spring fever a bit early this year. (We have had sunny & 70 degree days here lately, so who can blame me?) But I had a vision of painting this chair white, and placing a huge galvanized pot full of flowers to hide the broken seat and making it a focal point for my front porch! To paint this chair, I used white chalk paint which you can find here. And a chalk paint brush which You can find here This brush is amazing to give a distressed feel to any piece of furniture! I use a very small amount of paint on my brush, and wipe off most of the excess on a plate! With the paint that is left over on my brush, I light handedly go over the chair! Don’t worry about getting it into the groves of the chair or what ever piece you may be painting! Leaving the natural wood showing underneath gives a worn in look! This chair only took about 15 minutes to paint and I love how it turned out! What do you think? To me, nothing says welcome like an old antique chair holding some lively plants! The character that antique pieces give to a new home can help add a cozy lived in element to an otherwise cold and empty space. To finish off this little space, and to make the chair feel like it belongs, I added a stump of wood, which was already in our yard from where a tree had fallen during the hurricane a few months ago. I also added these cute vintage milk containers my papaw gave me at Christmas! (He’s an antique lover too). I added a black and white striped dishtowel under the galvanized pot to layer in some texture. And finished off with a big green lively plant! I hope this helps you feel inspired to find a unique piece for your home and create something that reflects who you are! Thanks for stopping by today, and remember you are ENOUGH! 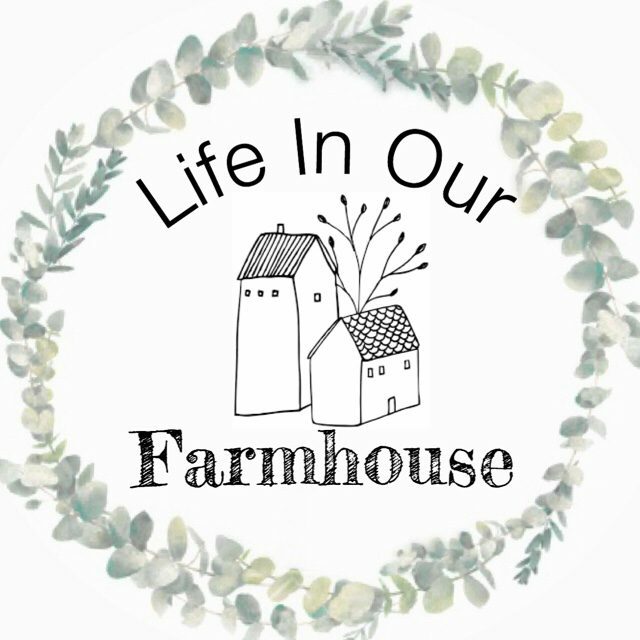 Previous articleAbout meWelcome to the Farmhouse! Next articleDIYTurning an unsightly space into something unique!